Have You Recently Been in a Motor vehicle accident? What should you do First? First you need to fill in the AB2 accident form. For your convenience we have one you can download here. You have 10 days from the accident to report it to your insurance company. After that book an appointment with our Chiropractor or Physiotherapist and they will assess your injuries and send their treatment recommendation (AB2) back to your insurance company. They will work with you to determine the best treatment plan to meet your goals. Can treatment be directly billed to my insurance company? Your insurance adjuster will approve the treatments plan and we can begin treatment. Treatment at that time can and may include, Chiropractic, Physiotherapy, Massage therapy and Acupuncture. You and the practitioner assessing you can discuss your options and what you feel works best for you at the time of your initial visit. Sprains and Strains – these are soft tissue injuries to tendons, ligaments and muscles. WAD (Whiplash Associated Disorders). You will often hear that term when your practitioner diagnosis’ your injury. There are 3 different levels of severity WAD1 or WAD2 or WAD3. Each comes with a different treatment plan with different length of duration. Based on the severity of your injury you could be granted up to 10 or 21 treatments. 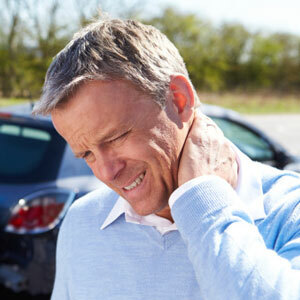 These treatments MUST be completed within 90 days following the date of your accident. In some cases treatment may be extended with the recommendation from your practitioner and approval from your adjuster. Throughout your treatment we strive to ensure effectiveness of treatment and to maximize your recovery in a timely fashion. Our team of Chiropractic, Physiotherapy, Massage therapy and acupuncture will work together to get you the optimum most effective therapy we can provide. Contact Us today!